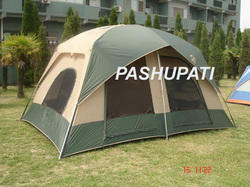 We are one of the leading organization engaged in supplying of Camping Tents. Designed with utmost care using quality fabric, these are comfortable, sturdy and will allow one to have good night sleep. These camping tents are highly qualitative and can give real value of their purchasers. 3 Persons Camping Tent with Extra Space for luggage in front & Back for Extra Storage. Double Front Doors , Mesh panels in Inner for better Ventilation. Outer fly- Nylon Diamond Ripstop 5000 mm PU Coated. Our company offers high quality Makalu Camping Tents which is attached to a frame of poles and ropes to provide it sturdiness. 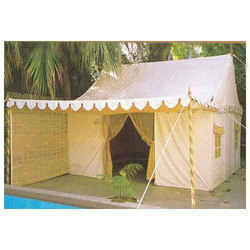 These tents are available in a variety of styles, designs and colours. 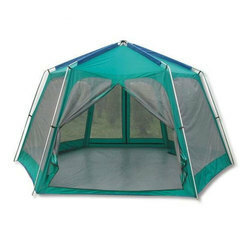 These tents are available in a variety of sizes ranging from tents for use only by one person or tents which can hold a number of people. 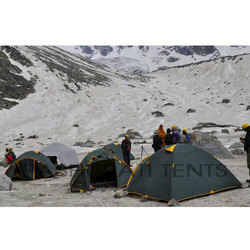 These tents are made up of high quality fabric which is water resistant, fire retardant and are extremely light weight. These tents are fairly simple to carry, fix and dismantle. 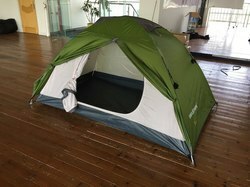 6 Persons Camping Tent with Extra Space for luggage in front & back for Extra Storage. Diamond Ripstop fabric with 5000mm PU Coated Polyester fly Water Coloum. 4 kg Average packed weight. 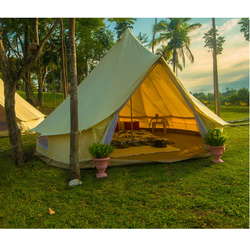 We have made a name among the prominent manufacturers and suppliers of high quality Bali Camping Tents in standard dimensions. We manufacture these tents from quality tested raw materials that have been sourced from trusted vendors, who have been working with us for a long time. Our tents are widely demanded for their high resistance to wear and tear, attractive colors, user-friendly assembly, and durability. Polyester fabric Rainfly with PU 1500mm PU Water Column. Camping tent is specially designed for trekking and adventure to provide best quality 2 men Camping tent with low weight and small packing volume to help in trekking and Camping. 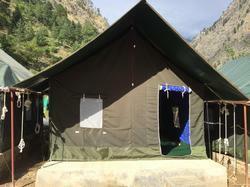 Jaqana tents have been tested and successful in many Camping sites across India. 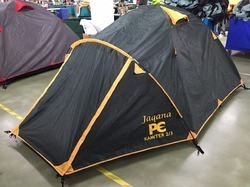 We have many models for different capacities from 2men, 3men and 4 men Camping tents. 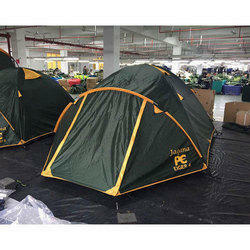 We offer a wide range of high quality Relief Tents to our customers. Manufactured from high quality fabrics, these products are highly appreciated for their advanced features such as UV resistance, water resistance and easy installation. 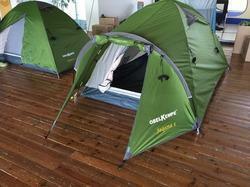 Our optimum grade tents are commonly used by our valued customers, during camping for staying purposes. Furthermore, these products are available at cost effective market prices without compromising on quality. We offer a wide range of Leisure Huts to our esteemed customers. These huts are ideally suited for different resorts, farm houses, and base camps. These products are manufactured from a high quality fabric, which is procured from well established vendors. Our products can be custom designed as per the specification provided by our customers. With the help of our logistic professionals, we are able to deliver our products in the promised time frame. Camping tent 6men is a high quality Jaqana Camping tent (manufactured by Korean company), it is highly suitable for Rains & Snow Camping & trekking. 3.6 Mesh Roof Panel 4. 9.Seam Taped 10. Stakes & Carry Bags Included. We are one of the prominent manufacturers, suppliers, exporters, and distributors of Camping Tent Bell Canvas. These products are made from high quality fabric and steel that is obtained from well known vendors. 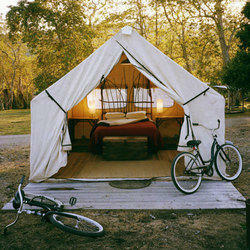 Our product is widely used for camping as it can accommodate a number of people. The quality controller keeps strict supervision over the entire manufacturing processes to ensure that these processes are carried in conformity with international standards.